I <3 Fall. And Polenta & Rabbit! | Pasta & Co. I just love fall. It’s my favorite season. Time of even deeper thoughts, of handwritten pages, time to gather, time to reflect on the past and see what worked and what didn’t, time to celebrate the people I love and love itself. I did not realize it was fall until today. This warm Houstonian weather, made of heavy rains and sunny days, disrupted my biorhythm LOL! It’s my first October here since we moved to the US – Three and two years ago I was in Chicago, and last year we flew home for the wedding. In fact, yesterday Giorgio and I celebrated the first year, our paper anniversary. It was a good year. Filled with love, challenging projects, joy, and a lot of fun. I was talking to my friend this afternoon and I just felt the usual push to be a better person that fall inspires and instills. It’s fall again! Today is a good time to celebrate a new start, my favorite season, and love. 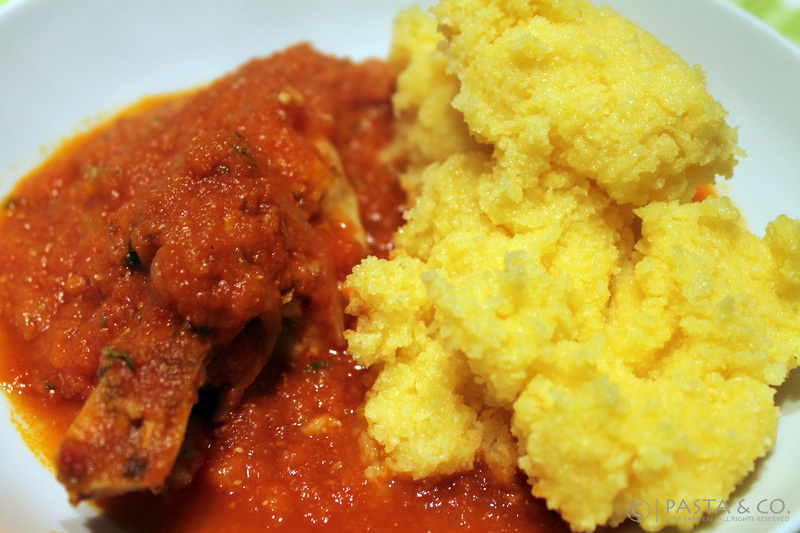 And what better way to celebrate than a hearty Polenta & Coniglio? I had a rabbit from Tejas Heritage Farm sitting in the freezer and I had to test the recipe before rolling it with guests! Polenta & Rabbit is one my dad’s favorites dishes, and it’s gonna be his birthday cake, as tomorrow he would have been 66. Happy Birthday Daddy! This is one of my favourite selvaggina dishes!